Pick an inspiring phrase that you repeat over and over again to put you in a trance-type state that assures you to keep putting one foot in front of the other. Something like “I can do this”, “I’m stronger than I think I am”, “Keep going”, “Never quit” or “I got this” might do the trick for you. Literally play games to take your mind off the effort. For example, you could go through the alphabet thinking of an inspirational word for each letter. You could consider the months in a year and think of someone you love who celebrates a birthday in each month. You could count to 500 and then reverse counting backwards from 500. You could count as high as you can in a second language. You could create or add to your bucket list in your head. There is a popular phrase that responds to the question “How do you eat an elephant?” with the response “One bite at a time!” If you are faced with a challenge that seems impossible and overwhelming, break it into smaller, easier-to-accomplish chucks. For example, if you are trying to run a 10K, break it into two 5Ks. If you are competing a triathlon, focus on the swim first, then the bike, then the run. If you are trying to get through a one hour workout, break it into four 15 minute segments. Whatever it is you are tackling, take it one step at a time. I’ve participated in races where I had to force myself to gain a little perspective by remembering what others’ were going through. So if I was climbing a tough hill, I would consider that this was nothing compared to what my girlfriend who was undergoing chemo was going through. Or if I felt like quitting during a workout, I would think of a friend who had great struggles and wasn’t making any excuses. It’s easy to find someone who is older, less fit, dealing with health issues or physical disabilities, busier, with less resources that is still figuring it out. Sometimes putting things in perspective makes it easier to continue. It is often helpful to remember back to when you first started and reflect on how far you have come. Feeling good about how much you have accomplished can often give you a boost of energy and confidence to keep going. For example, when you are struggling to get to the finish line of a Half Marathon, remember back to when you couldn’t even run a block. Or when you’re struggling to complete a set of chinups, remember when you couldn’t even do one. Having a carrot as an incentive to keep going can be very helpful for many. For example, if I finish this tough race, we are going on a weekend get-away. If I complete 3 cardio and 2 muscle conditioning workouts this week, I will book a massage. If I get through this challenging trail run, we’ll go to our favorite coffee shop and enjoy each other’s’ company. If I reach XYZ goal, I will treat myself to a shopping trip or buy something I’ve always wanted. Sometimes, if you can’t find the internal motivation, external motivation can work wonders to get you through a big goal! 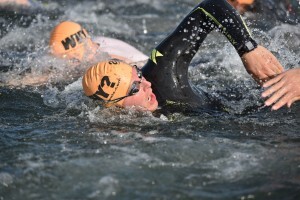 This summer weekend Triathlon & Multi-Sport Festival at a beautiful venue along the Columbia River offers something for everyone from a Sprint & Olympic Distance Triathlon, Duathlon, & AquaBike, Girlfriends All Womens Triathlon/Duathlon/AquaBike, 5k & 10k runs, Kids Triathlon and so much more! It is one of the most scenic areas with views of the Columbia River, Mt. Hood, Mt. St. Helens and Vancouver Lake.